Many people struggle with alcohol. It is the most common legal habit that people either wish to reduce or stop completely. 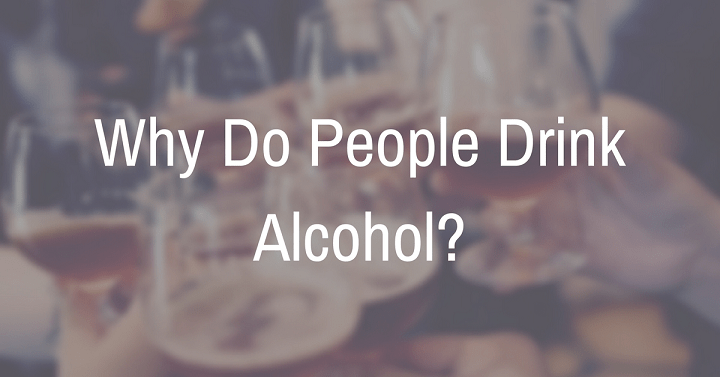 Most are able to provide a long list of reasons as to why they should stop drinking but many simply cannot stop or moderate no matter the circumstance. Here are a list of the common reasons behind the compulsive behaviour. Many remark that they drink alcohol due to stress, and it’s hard to blame them. There’s not many substances in the world that can yield a significant change of physical and mental state as quickly as alcohol. One that is legal, socially acceptable and hugely popular across the world. The problem with using alcohol to decrease stress is the effect is often only short term, and that it’s consumption is more likely to yield significant stress in the long term. On a biological level, studies have shown increased levels of the stress hormone, ‘cortisol’ in consistent drinkers (1). Consistently high cortisol levels can cause health problems in the long term. Newer research is beginning to suggest for example, that long term inflammation, caused by high cortisol, could be the reason why some suffer from depression (2). Most drinkers will acknowledge that the perceived benefits of stress reduction granted by alcohol will only be short term. Alcohol and it’s effects on sleeping provides a good example of this. Alcohol has been shown to help you get to sleep (a short term benefit), but the quality of the said sleep is negatively impacted. One such study showed increased sleep disruptions in the second half of sleeping after alcohol was consumed prior to bed (3). Sleep disruptions will always have a long term negative influence on your overall health. How many will drink a little too much, or go over the top and wake feeling lethargic, embarrassed or depressed due to the night before’s drinking antics? The day after the standard company christmas party, a large percentage of drinkers, will be waking up worried, embarrassed and concerned about their behaviour. The potential negative consequences due to being drunk at such events can no doubt cause significantly more stress in the long term. Similar to the reason why people drink due to stress, studies have shown that people who suffer from social anxiety are likely to be drinkers, and problem drinkers at that. A study in 2010 showed that 28% of people who are diagnosed with social anxiety disorder, exhibit problem drinking characteristics (4). Alcohol has been studied for its effects on the brain’s prefrontal cortex, and it has been shown to have inhibitory reducing effects. This part of the brain has been associated with social behaviour (5). People with anxious, insecure or nervous traits are naturally going to note the short term, social confidence yielding benefits more so than people that don’t exhibit the same characteristics. This is why it becomes habitual for nervous or socially anxious people. What starts out as a crutch, ends up being a habit. There are some addiction specialists that believe that people who drink alcohol consistently to excess, are actually using the mechanism to deal with emotional pain. The connection doesn’t need to be obvious to the drinker either. Dr Gabor Mate is one such specialist, he believes that problem drinking is nearly always caused by some form of emotional pain. There are other specialists that disagree with Gabor Mate such as Dr Stanton Peele (6). In any case, research does seem to suggest that if you’ve suffered from trauma, or painful experiences, you are more likely to drink alcohol in a negative way than someone who has never had such abuse or experience (7). If you can’t understand why you drink alcohol and find yourself continually turning to it as a mechanism to deal with day to day life, you may have a problem. If you’re aware you have a drinking problem, please speak to a medical professional or specialist to help you decide what the move should be. If you’re looking at alcohol rehabilitation programs, and would like more information about us here at Refocus, please don’t hesitate to get in touch. We are a private alcohol rehab program, where individuals get their own private rooms, high quality food, structured day programs, counselling and time to get well again. We are located less than 5km out from Melbourne CBD. Please call Barbara Kustra and her team on (03) 9826 0949 if you have questions. Refocus and its people are renowned for their sensitivity, warmth and the safe, confidential environment provided. A team comprising individuals who are the best in their field, with individualized comprehensive treatment focused on your happiness, well-being, comfort and needs. © 2019 REFOCUS Rehab Melbourne Drug and Alcohol Centre. All Rights Reserved. Powered by REFOCUS DRUG & ALCOHOL MELBOURNE REHAB. The content on this website may not be published, rewritten, reprinted or redistributed in whole or part without the express written permission of the Author. All content contained within this site is not intended to be a substitute for professional medical advice, diagnosis or treatment. Always seek the advice of your Doctor (GP) or other qualified health provider before initiating anything that may impact your health including rehabilitation for drug and or alcohol use.